I remember my days with the Playstation 2 vividly. Sleepless nights, rainy days, and some of the greatest and funniest gaming experiences ever. From Shadow of the Colossus to Grand Theft Auto, Kingdom Hearts to Final Fantasy, it seems the PS2 ushered in an era of gaming we can all fondly look back to. Well, what if I told you you can relive those moments again, quickly and easily, directly on your PC through the magic of emulators? 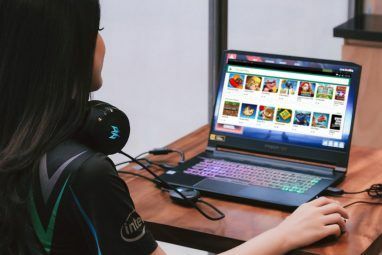 Read on to learn how you can begin playing your favorite classics for free on just about any PC at your disposal! Emulators do as their title suggests: they emulate dated gaming consoles 8 Great Emulators to Play Modern Home Consoles on Your PC (1994-2001) 8 Great Emulators to Play Modern Home Consoles on Your PC (1994-2001) Read More , allowing users to play everything from Super Nintendo to GameCube games directly on their PC without the need of an actual console. They do this by reading the game’s disc image through special software, using your computer as a display and storage system, which allows people to use the emulator as one would a console. Furthermore, emulators often allow for various benefits to classic gaming. Resolution, filtering, and shader tweaks allow users not only to play their games, but to enhance the graphics of their games to closer achieve the quality demands of modern gaming and the potential of modern gaming rigs. To play a game using an emulator, you will need a ROM (Read-Only Memory). ROMs work as game cartridges, compacting a games memory into a readable and usable ISO file. These ISO files are copies of the original game files. ROMs, through emulators, allow users to play their games. They are only usable with specific software or a process called mounting No DVD Drive? No Problem! Create And Mount ISO Files For Free With These Tools No DVD Drive? No Problem! Create And Mount ISO Files For Free With These Tools My computer doesn’t have any optical drives anymore. That means CD drives, DVD drives, Floppy drives--they’ve all been cut out and done away with forever. If a particular piece of peripheral gear doesn’t have a... Read More . Another necessity for PS2 emulators are the BIOS files. While the BIOS is more often associated with your PC, PS2 BIOS information is slightly different. Your emulator’s BIOS will dictate, to put it simply, the version of your PS2. Enabling a Japanese BIOS version will allow users to change the in-game language to Japanese, while the American BIOS versions allow for English gameplay. As is the case with any other fan-made software, there’s an assortment of emulator models to choose from. The quality of an emulator stems from its stability, among other factors. Not all emulators are created equal, and some will allow for smoother gameplay while others may not even allow you the use of your ROM. This includes PC and mobile emulators How to Install Emulators & Homebrew on Your iPhone or iPad (No Jailbreak Required) How to Install Emulators & Homebrew on Your iPhone or iPad (No Jailbreak Required) Install emulators and other homebrew on your iOS device, no jailbreak required — it's actually a pretty straightforward process that can be accomplished with free tools and a bit of patience. Read More alike. For our purposes, we will use the PCSX2 emulator. This is the one of the most popular, and oldest, emulators to date for the PS2. Not only has this emulator been tested for absolute stability, it also allows for control and graphic setting functionality. That’s why its the perfect choice for you! Keep in mind, one emulator will not allow you to play games across different consoles. Every fan-made emulator hosts its own specific console, so don’t try to play the GameCube’s Super Smash Bros. on PCSX2 — a PlayStation emulator. PCSX2 is very simple to install. First, access the official PCSX2 website. PCSX2 is available for Windows, Mac, and Linux. Download your appropriate file to get started. I will be using the latest Windows version to conduct the walk-through, although all installations are the same. Once you’ve downloaded the EXE file, double-click it to initialize installation. You will receive a first-time configuration page. Proceed until you see a window with a selection of drop down menus. The great thing about PCSX2 isn’t just the fact that it’s the most stable PS2 emulator around. It’s also the amount of plugins and configurations you can choose from. PCSX2 allows control over everything from third-party shaders to in-game textures, all which provide a richer gaming experience. These settings are reachable within the PCSX2 software, and will require additional configuring. For now, simply click Next to move on to the critical part of the process. You will be prompted to input your BIOS files. These files will allow the program to assume where you are playing this game: North America, Latin America, Japan, etc. This controls various sound and text functions. Disclaimer: While there are PS2 BIOS files online, the only legal method of obtaining BIOS files is to rip the BIOS from your existing PS2. The program to do so is located on the PCSX2 website. Use the link provided at your own risk. While BIOS files for the PS2 range from nation to nation and year to year, you only need one from your appropriate location to get started. After you’ve ripped the BIOS files, copy and paste this zipped file to the following directory: C:\Users\[User Name]\Documents\PCSX2\bios. This is the default directory for your BIOS files. You can change this directory to one of your choice by unchecking the Use default setting option and selecting a directory of your choice. Once unzipped, you’ll note a selection of folders. PCSX2 will only recognize files located in the root directory, not a folder. To activate your BIOS, cut and paste the contents of one of these folders (typically a BIN file) into the root bios directory. Once placed, click on Refresh list in this window. The region relates to language options, so pick the USA version for English. The version used above is located in the folder labeled SCPH-70012 (from the previous BIOS pack). Click on your option and select Finish to complete the BIOS set up process. Now that PCSX2 has been installed onto your computer, along with the necessary BIOS, you are now ready to play your game. While ROMs are freely available online, MakeUseOf can’t help you find them. Downloading ROMs for games that you don’t own is piracy, and doing so is your decision to make. It may take a while, as you’re downloading a whole game. ROMs are only playable using PCSX2 as an ISO file (not a ZIP file). Once you’ve obtained your ROM and extracted the ISO file, head to CDVD > Iso Selector > Browse in the PSX2 window. It’s best to save all of your disc images in a single folder for easy browsing. Double-click on your ISO file. You will now be able to toggle which disc you would like to use using the same Iso Selector window. Then, head to System > Boot/Reboot CDVD. Your game should begin now, barring a corrupted ISO file. Now that you’ve installed your game, it’s best to mull over the controller settings to game with ease. To access controller settings, head to Config > Controllers (PAD) > Plugin Settings. There should be three tabs in the upper left-hand corner of the window. Click Pad 1 and select Delete All. This will delete all default entries. To enter a new value for a button, click on a button on the right-hand side and enter the value on your keyboard or gamepad. Part of the beauty of gaming on your PC is being given a larger range of graphics options to choose from besides the stock resolution and shaders. While third-party plugins are available for PCSX2, the stock GS plugin works great to enhance the overall quality of your game. Access this plugin under Config > Video (GS) > Plugin Settings. While these settings may seem daunting at first, they are easy to configure and easy to switch back once changed. 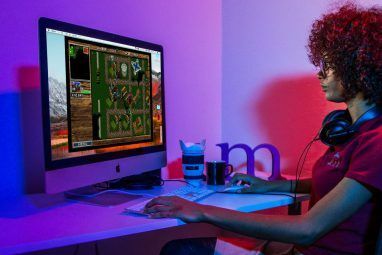 While this isn’t a necessary step in your gaming, it’s great for matching your new hardware with these classic games. The era of the Playstation 2 was truly amazing. 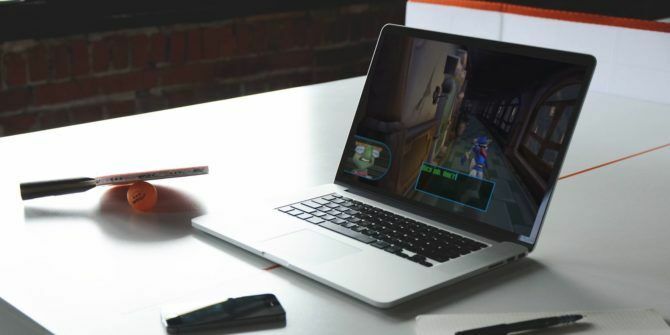 With innovative game play, immersive stories, and (still) impressive graphics, there’s no doubt some of you have been itching to play the PS2 classics How To Play PlayStation 2 (PS2) Games On Your Mac With PCSX2 How To Play PlayStation 2 (PS2) Games On Your Mac With PCSX2 A few years ago Simon took a look at PCSX2, a PlayStation 2 emulator for Windows and Linux. 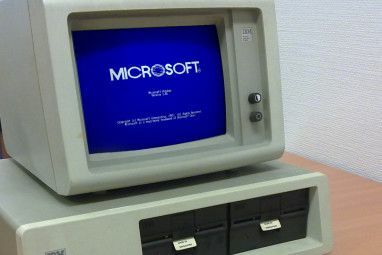 Thanks to a couple of years advancement in hardware and a Mac port, your modern day Apple... Read More all over again. Well now nothing’s stopping you! Do you use emulators? What’s your favorite? Let us know in the comments below! Explore more about: Emulation, Game Mods, Gaming Culture, PC, PlayStation. I have indeed used an emulator before. It was called bluestacks. "To play a game using an emulator, you will need a ROM (Read-Only Memory). ROMs work as game cartridges, compacting a games memory into a readable and usable ISO file. These ISO files are copies of the original game files. ROMs, through emulators, allow users to play their games. They are only usable with specific software or a process called mounting." Wow. Oversimplify much? ROMs are for cartridge games, while ISOs are disc images. Also, "compacting a games memory" - **game's** - learn how to make a possessive. "Memory" (RAM) is volatile, and is erased when powered off; saved data (whether a CD/DVD disc, a ROM, or files on a HDD, flash drive, SD card, or SSD) is not.